Eating after an intense workout may sound unappealing or even counter-productive — after all, you just finished an hour of shaking through a Zumba class and the last thing you want is to undo all of your hard work — but skipping a post-workout meal can actually slow your progress and keep you from sculpting a lean and toned body. When you exercise, your body receives fuel that has been stored in your muscles as glycogen. After your workout, your glycogen stores have been depleted, and they must restored if you want to have energy for your next workout. Additionally, strength training causes micro-damage to muscle fibres, which forces them to repair themselves and become stronger than they were before. Protein is essential in this reparation process. Also Read: How Many Calories Should You Eat Per Day to Lose Weight? To put it simply: If you aren’t giving your body what it needs after a workout, it won’t give you the results you want. After a workout, your body needs protein to build muscles and carbohydrates to refuel glycogen (energy) stores. That doesn’t mean you should scarf down a huge plate of pasta immediately following your pilates class. How much protein and carbohydrates you need will vary depending on your size, goals, and training intensity. A moderate yoga or heavy-weight lifting session with plenty of rest won’t require as many carbohydrates as a high-intensity interval or CrossFit session. No matter what your workouts look like, the combination of lean protein and carbohydrates makes for the perfect post-workout snack and improves your performance. Eat about 20 minutes before your workout and immediately after to attain the best results (and don’t forget to hydrate!). Here are a few post-workout meals to consider for after your workouts if you’re trying to lose weight. 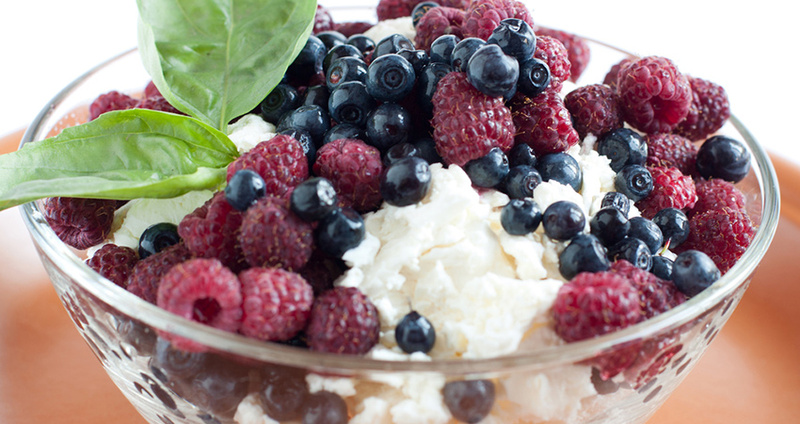 Cottage cheese paired with fresh fruit is a quick, low-calorie snack that travels well. It can easily fit into a small to-go container and stashed in an insulated bag with your water bottle, meaning you can eat it as soon as your workout is done. Cottage cheese contains lean protein, while fruit provides a source of complex carbohydrates. Mix up the fruit each time in order to add in different types of nutrients to your diet. You can even add a sprinkle of protein powder to your cottage cheese to give it an extra boost. (We recommend the delicious combination of chocolate protein powder, cottage cheese, and bananas). Choose this healthier option as an alternative to other sweets, such as ice cream or frozen yogurt. This is an ideal breakfast for a post-morning workout. Variations include hard boiled-eggs, poached eggs or egg whites on toast. 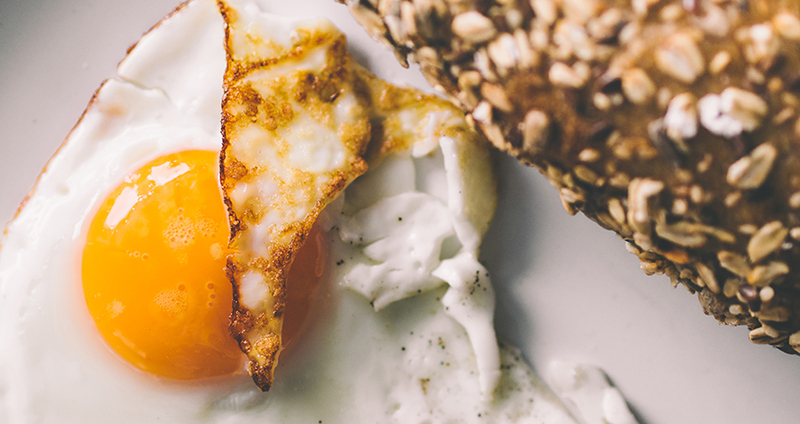 Eggs provide the protein content, while toast refuels you with carbohydrates. Feel free to mix things up with some mashed avocado, different spices or lemon juice for added flavour. In addition, you could add veggies, like tomatoes drizzled with olive oil, or a side of fresh fruit to give yourself some quality carbohydrates. Bananas are excellent post-workout snacks, as they have a healthy source of carbohydrates and potassium. All-natural nut butters, on the other hand, provide a healthy source of fats. 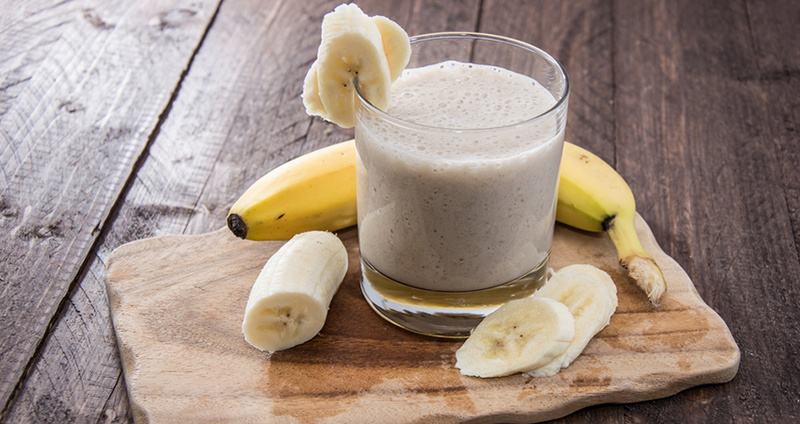 All you need is a dash of whey protein, and voila — you’ve got yourself the ultimate, post-workout smoothie. For the meat eaters out there, add some grass-feed, sugar-free (or even homemade) beef jerky in the mix for an instant hit of protein. 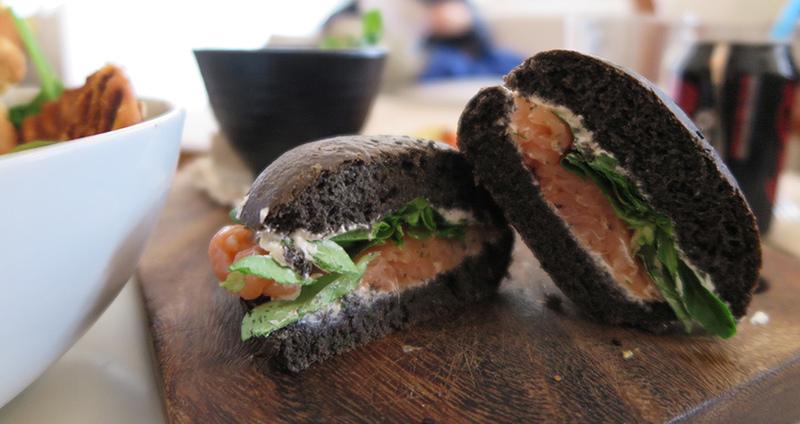 A pumpernickel or whole-wheat bagel with a generous amount of smoked salmon may be just what you need to recover from a more intense, HIIT-style workout, as it includes a mix of healthy fats, protein, and carbs. 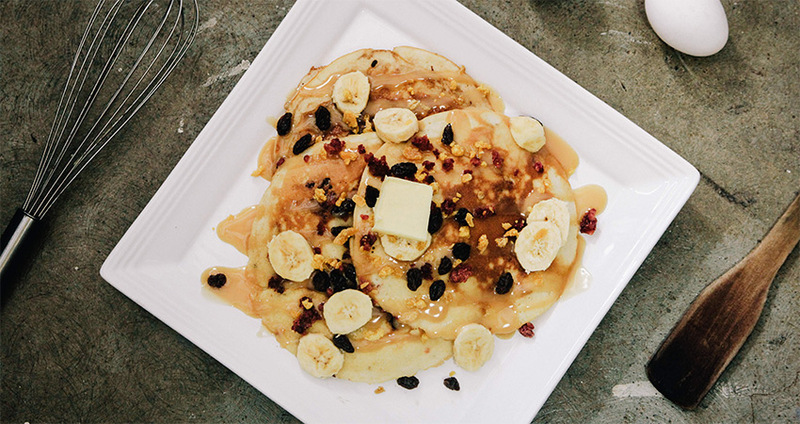 Follow up a morning workout with a well-balanced breakfast of protein pancakes topped with fresh fruit. Take it easy on the syrup though (or skip it altogether). You don’t want to undo all of your hard work with too much sugar. 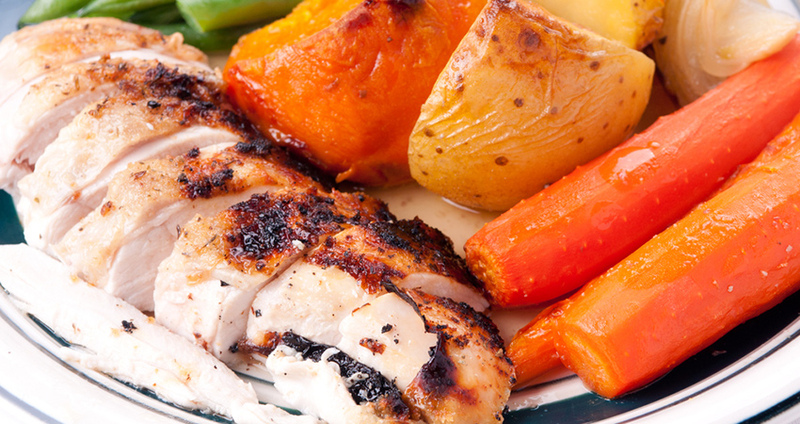 Chicken breast provides lean protein, while one-half of a medium-sized yam is an excellent source of complex carbohydrates, in addition to plenty of beneficial vitamin A. This meal is simple to prepare ahead of time, so that you can heat it up and eat it right away after your workout. Slices of fresh apple with nut butter or a handful of nuts, such as almonds, cashews or pecans, make for a light and effective post-workout meal. 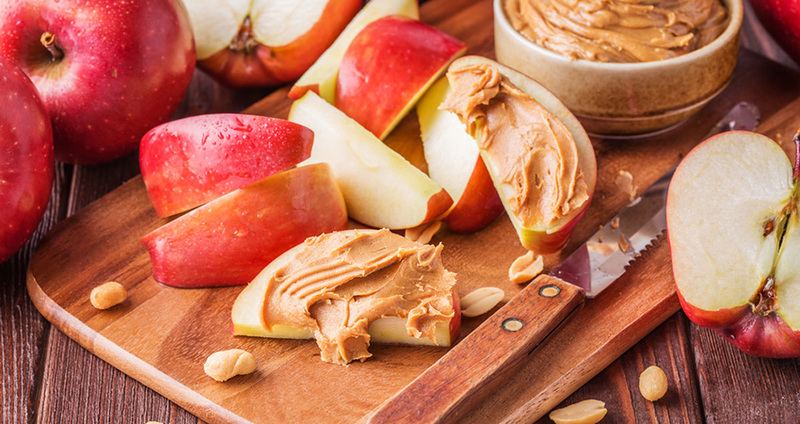 Apples are a fibre-filled carbohydrate that will help you refuel after your workout, while nut butters provide a healthy source of fats and protein. 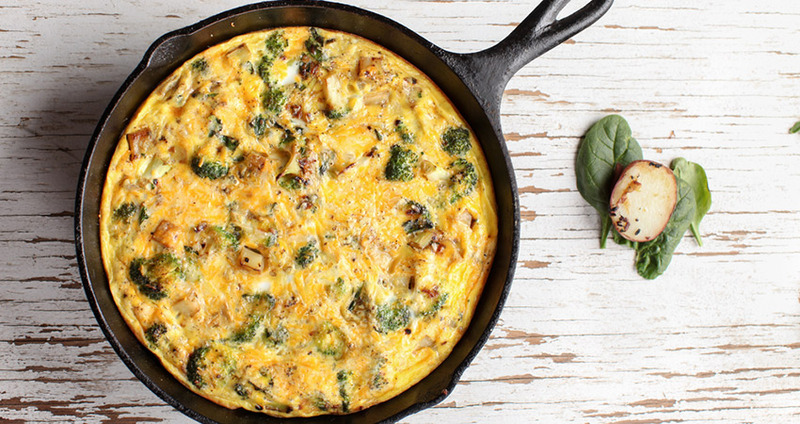 A veggie frittata is more than just a perfect brunch meal; it’s also a ideal post-workout meal after lifting heavy weights or yoga day, when you don’t need too many carbohydrates. The eggs provide protein, while the vegetables provide fibre and nutrients. Mix chocolate-flavoured whey protein powder with iced coffee for a refreshing treat that will extend your post-workout energy buzz. 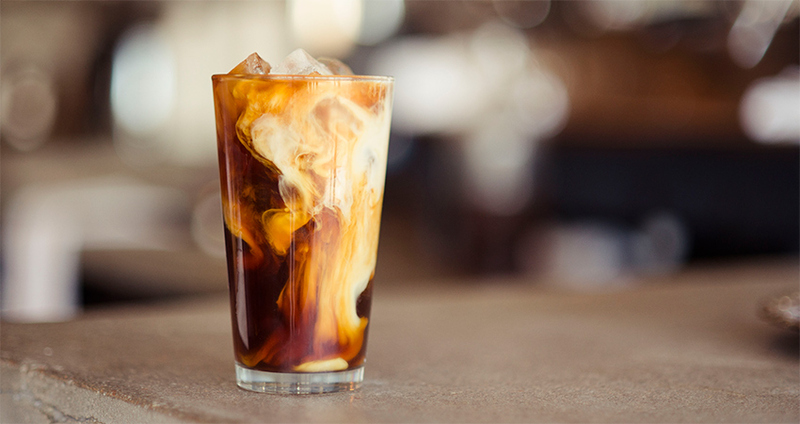 The caffeine will give you energy, while the protein will help you repair and build stronger muscles. When it comes to timing your post-workout snacks and meals, the sooner the better. Most experts agree that eating in the first half hour after your workout is optimal for muscle gains, and up to one hour is the perfect window to refuel your muscle stores. If you wait two hours before your next meal, your ability to refill your glycogen stores can be decreased by as much as 50 per cent. 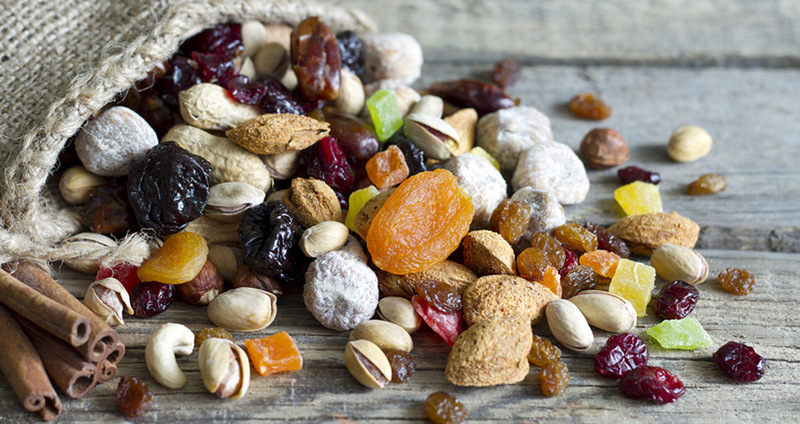 Set yourself up for success and make planning your post-workout snack a part of your routine. Schedule your workout time, prepare a snack, and pack it in your gym bag just like you would any other important workout equipment. Eating the right foods at the right time is crucial for getting the body you want.